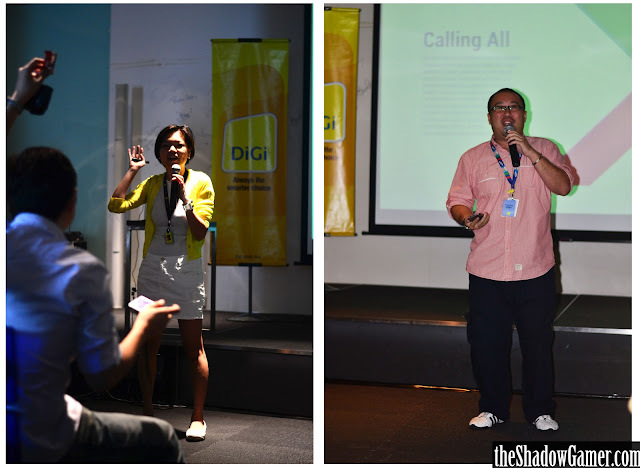 In conjunction with Nuffnang, I was recently invited by Digi to attend their latest event/workshop, the Digi Fandroid Day which as you might have guessed, is all about Digi and Android gadgets. 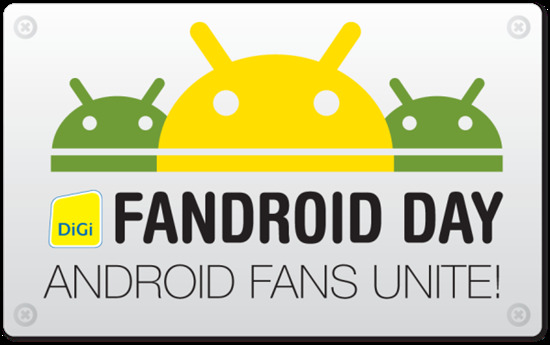 At the event, they had a booth with various types of Samsung Android smartphones for us to toy with before the event officially starts. 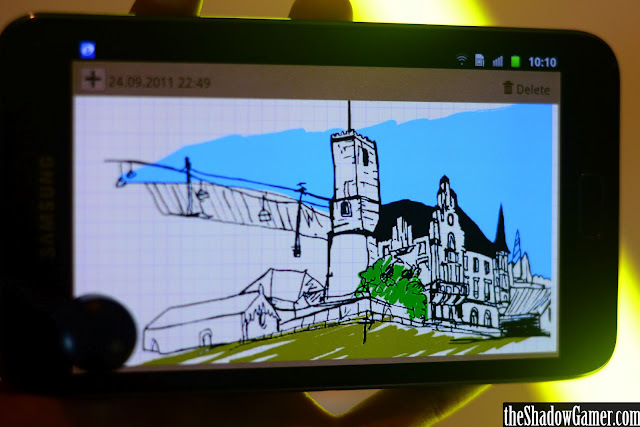 And this is the Samsung Galaxy Note! I'm going to be honest that this is NOT my sketch/drawing, but you've got to admit its pretty darn good right. Personally, I found the ability to sketch and draw really attracting. However, the only downside is that it can get laggy at times and the size of this thing is simply too big (as a phone)! 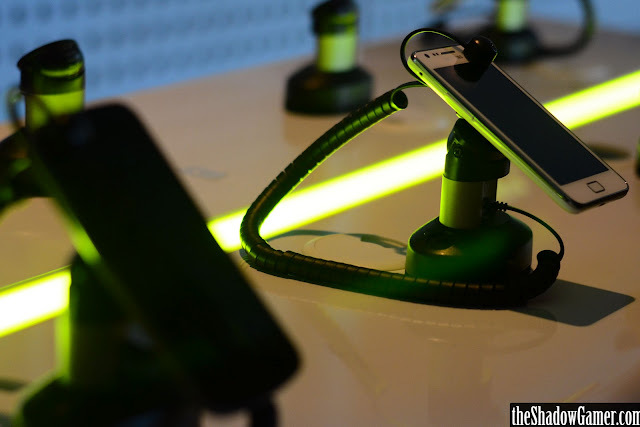 But ultimately, it was the Samsung Galaxy Nexus that caught my attention. It is the only smartphone in Malaysia who officially has a 4.0 Ice Cream Sandwhich Operating System, and thus boasting many interesting features. 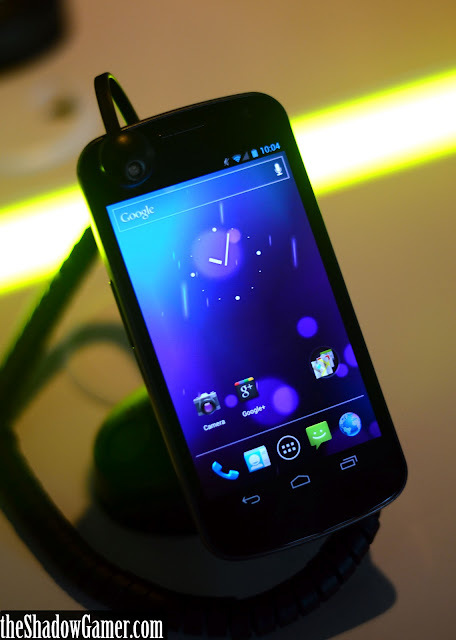 In fact, the Galaxy Nexus and Google's Android 4.0 ICS is what the event is all about. 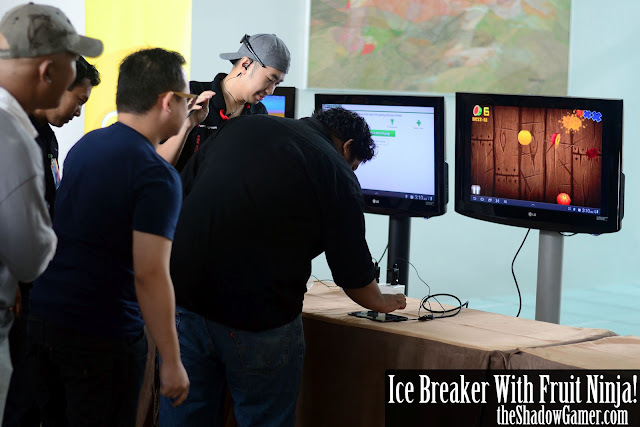 To start things off a little, there was an ice breaker session (as usual). However, Digi did it with a twist, a really cool twist. You know how ice breakers are usually the Chicken Dance or the Mississippi? What Digi did was that we were split into groups and had to unleash our skills in Fruit Ninja! Of course, its not as simple as it seems, each person could only take one slice, and the next guy has to take the next slice and so on and so forth. Sounds simple? It's actually really difficult. Guess what the high score was? 13 or so. Back to the main purpose of the event. there were 3 talks from the heads of Digi, Google and Samsung. First up, Digi introduced us to their plans on the Tomorrow Network which was said to be "Digi's single most ambitious network modernization." Basically its an upgrade to the next-generation of high speed internet with a stronger, more stable network with a wider coverage - namely the 4G/LTE network. The upgrade has already begun in December in a pilot implementation manner, and will continue upgrading with 400 sites a month, every month until the end of 2012 where Digi hopes to provide 95.8% of Malaysians with full high speed internet. 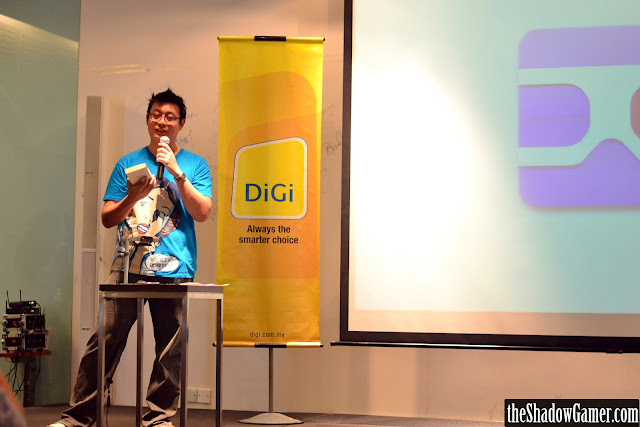 Also, Digi added that they are planning to be the first network in Malaysia to be LTE-ready. Next up, we had one of Google Malaysia's head to talk to us about their latest Android Operating System, the 4.0 Ice Cream Sandwhich. He demoed some of the new upgrades in the OS using Samsung's Galaxy Nexus, as well as introduced us to some pretty slick features in Google's commonly-used-products-but-often-undiscovered-before. If you have heard of Google Goggles before, I assume you know that it can read QR codes? However, did you know that you can actually also use the Google Goggles to completely solve a Sudoku puzzle? Then, it was Samsung's turn who gave a really interesting talk. One slide, no videos, and was the last talk before lunch. Yes, lunch; and when you are in Malaysia, lunch could mean the world for everyone. So usually, such a talk before lunch would bore people to sleep or get them fidgety, but I'm pretty sure everyone was paying full attention to him as he cheekily spoke, and hinted about Samsung's upcoming gadgets. Lastly, we had a little tour around the Studio D' House of Digi's Headquarters which was modelled with green and eco in mind. 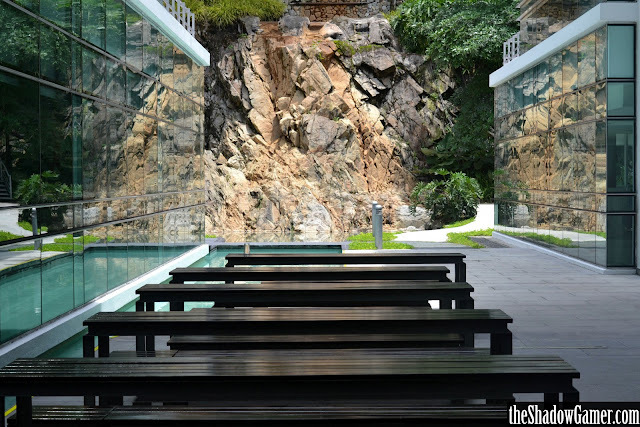 As you can see, there's a man-made waterfall and the building is made out of glass for more natural light to come in. Inspired by Google's Headquarters in the US i guess.